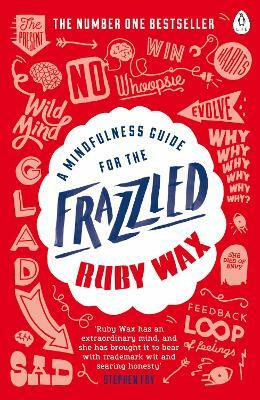 Ruby Wax lays out her mindfulness techniques, making simple changes that give us time to breathe, reflect and live in the moment. With mindfulness advice for relationships, for parents, for children and for teenagers, and a six-week course based on her studies of Mindfulness Based Cognitive Therapy with Mark Williams at Oxford University, A Mindfulness Guide for the Frazzled is the only guide you need for a healthier, happier life. Ruby’s approach to Mindfulness is something that can help us all: learning to notice your thoughts and feelings so you can truly experience life. A fantastic insightful read. Helps you take a step back from stresses in your life.